The Dougie Mac is celebrating its 40th anniversary. It’s the place you only really come to appreciate when someone close to you is dying. A place which, if truth be told, many people in these parts are still more than a little afraid of. 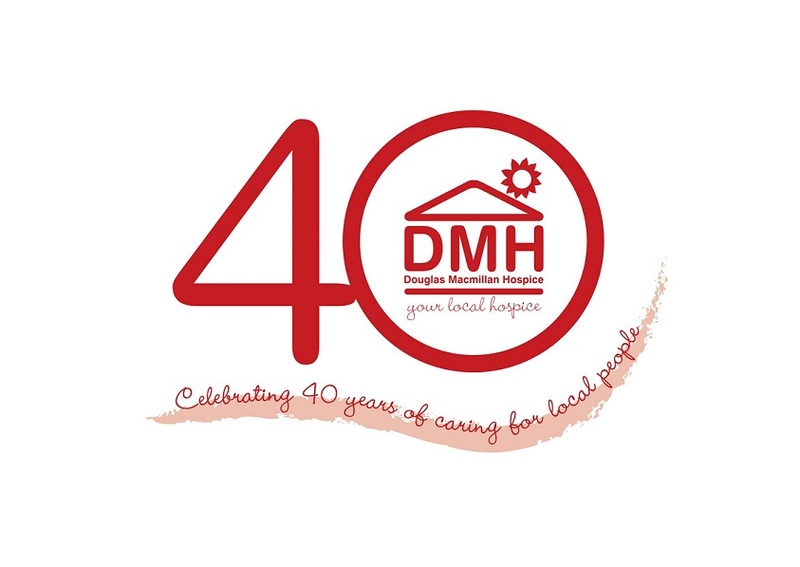 The Douglas Macmillan Hospice, or the Dougie Mac as most of us know it, has been part of the fabric of life in the Potteries for as long as many of us can remember. What began in 1973 as a terminal care home has grown exponentially over the last four decades to become a centre of excellence for palliative care. What started with a £50,000 grant to the North Staffordshire Committee of the National Society for Cancer Relief has morphed into an organisation with an annual income requirement of £9.2 million. Remarkably, £5 million of that comes from members of the public through donations, fund-raising events, lottery ticket sales, charity shop purchases and legacies. All that money pays for services including a day therapy unit, respite care, specialist family lodges and the community nursing teams who provide invaluable care for people wishing to remain in their own homes. People like my auntie Jean. People you will know. Yet despite its staff of more than 250, its constantly-evolving site at Blurton, its 900-plus volunteers and its multi-million budget, the Dougie Mac has somehow managed to remain what it began as – an organisation which is by the community, for the community. It exists because the NHS, wonderful as it is, makes no real provision for end-of-life care. Focused as it quite rightly is on delivering children safely into the world and treating the sick, there is precious little thought and even less money given to those whose life’s journey is coming to an end. That’s why places such as the Douglas Macmillan Hospice exist. When the NHS can do no more and families have nowhere else to turn that’s where the Dougie Mac comes in. When someone learns they are dying they, and their relatives, experience a whole range of emotions from fear and sadness to anger and even guilt. At the Dougie Mac, no-one sits in judgement and no-one claims to have all the answers. But the staff there – from the cleaners, kitchen staff and maintenance men to the reception staff, the nurses and the doctors – are entirely focused on helping those with life-limiting illnesses, and their loved ones, find value in the time they have left. Given the nature of a hospice, you’d be forgiven, perhaps, for thinking that the Dougie Mac, which celebrates its 40th anniversary this week, is a sad place. You’d be wrong. Walking around, as I’ve had the privilege of doing in recent weeks, you’d be amazed at how friendly and welcoming everyone is and by how content the patients and visitors are. It’s no coincidence that the terminally-ill, anxious and frightened when arriving at the Blurton hospice for the first time, often relax once they come through the doors. “This is where I want to die,” is a sentence that more than a few staff and relatives have heard down the years – such is the effect that this place has on people. The work done at Dougie Mac, the care given by its expert staff, is a gift so precious that many feel the need to say thank you. People like ‘Tin Can Man’ John Leese MBE, who sadly passed away last week. John, who I had the pleasure of interviewing a while back, raised more than £350,000 for the hospice in memory of his late wife Olwen who had been cared for by the staff at the Dougie Mac. When he came on stage to receive his Editor’s Special Award at The Sentinel’s Our Heroes awards night, he said to me that he hadn’t done it for the praise. It seems to me that, like than man who rattled his tin can for years for the charity he loved, no-one associated with the Blurton hospice ever does it for a pat on the back. They do it because they are so grateful that when they and their loved ones are at their lowest ebb there is a local organisation, funded by local people to pick up the pieces. What the Dougie Mac and its near neighbour the Donna Louise Children’s Hospice do is give dignity to the dying. They make every moment count by relieving pain and suffering, creating memories and giving those left behind a reason to go on. We’re rightly proud of our hospices because you simply can’t put a price on the services they provide. 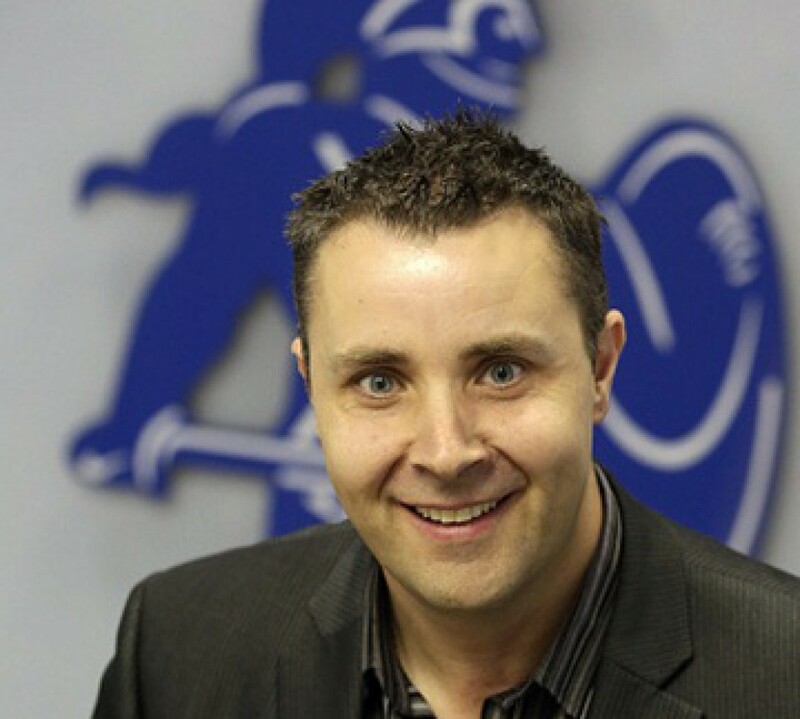 Happy birthday, Dougie Mac, and thanks for everything. Unless you have been touched personally by this awful story, it is impossible to imagine what victims of the Stafford Hospital scandal have gone through and how they must feel. It is estimated that up to 1,200 patients may have died needlessly – many in appalling conditions – between 2005 and 2009 in an environment which should have been the very safest and most reassuring. 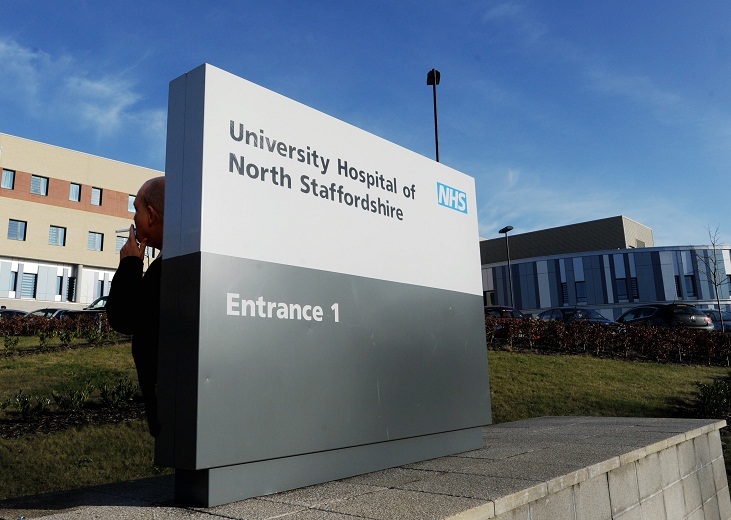 The 139-day inquiry into failings at Stafford Hospital made for harrowing reading as anguished relatives of the deceased gave deeply disturbing personal accounts. They told of frail and elderly patients left ignored, without pain relief, medication or even basic sustenance. Witnesses exposed human failings on an epic scale which turned a National Health Service institution into a place of danger and neglect – unworthy of the name ‘hospital’. 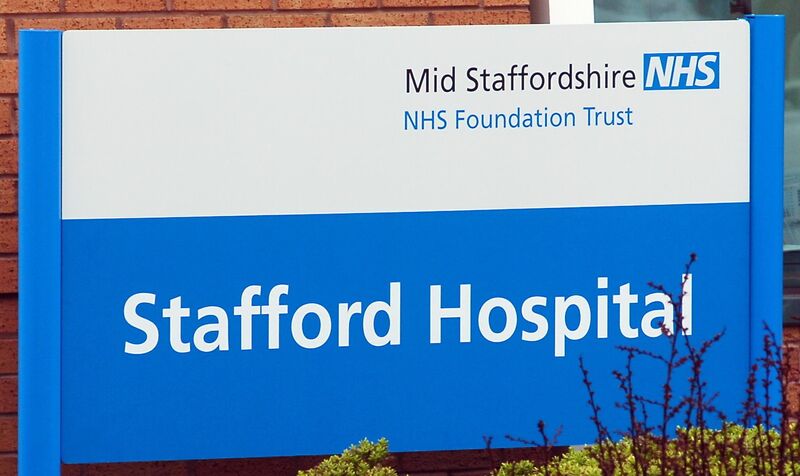 Although the Stafford Hospital inquiry’s chairman Robert Francis QC’s report has yet to be published, his findings and recommendations have been heavily trailed in the national media. His investigation may focus on Stafford Hospital but it clearly embraces themes universal to healthcare in the UK and should be viewed as a huge wake-up call for anyone who cares about the NHS. At some point during the last two decades Whitehall meddling has undermined those working within the healthcare system to such an extent that patients have suffered and are suffering. The testimonies of those who gave evidence to the Stafford Hospital inquiry is clear evidence of this. The Labour Government, under Tony Blair, introduced targets which were intended to monitor performance and give patients a better deal. But you don’t need to work in the health service or be an expert on it to see that in the rush to meet these, at times, arbitrary goals, hospitals and health centres have been forced to forsake the fundamentals. There is a fine line between wanting a public service to deliver value for money for taxpayers and preventing it from fulfilling its raison d’être. At Stafford Hospital the picture that has been painted is one of managers desperately trying to attain the coveted ‘Foundation’ status for the hospital while patient care went to the dogs. As is usually the way with the public sector, however, these same managers somehow escaped censure – with none of the hospital’s executives being disciplined despite the seemingly obvious failings of leadership. In my opinion it is high time that this ‘touchy-feely’ approach to discipline within the public sector was kicked into touch and that those who are ultimately responsible for failures are properly punished. In other words, every hospital within the country – indeed, every NHS trust and institution – is at risk of following Stafford Hospital down the route of neglect in the rabid pursuit of targets. I’m just a patient and the majority of my experiences in hospital in recent years, involving myself or relatives, have been positive. But not all of them. Writing a piece like this you feel duty-bound to extol the virtues of the vast majority of staff within the health service. Yes, we’ve all got stories of wonderful, caring NHS doctors and nurses and auxiliary staff who couldn’t do enough to make our stay in hospital more comfortable. Anyone who reads The Sentinel’s letters pages regularly will see the praise heaped on staff of ward such-and-such. But by the same token many of us have less complimentary tales to tell of miserable and unhelpful NHS staff for whom patients seem fairly low down on their list of priorities. Maybe some are harassed, over-worked or poorly trained – as has been suggested by evidence given to the Stafford Hospital inquiry. Whatever the reasons, there is something inherently wrong with the system when a receptionist, nurse or doctor can’t summon a smile, some sympathy or a little understanding for one’s personal predicament. The vast majority of patients and relatives who show up at A&E, walk-in centres, hospitals and GP surgeries do so presumably because they are, or believe they are, ill. In doing so they expect and deserve to be treated with concern, respect and dignity by the professionals in whom they place their absolute faith and trust. This leads me to wonder how much emphasis is placed on empathy when healthcare staff go through their training and how often this is refreshed and reinforced. You see, there are some things you just can’t measure with league tables and performance targets. We can blame systems and the culture at Stafford Hospital all we want but, ultimately, surely this scandal boils down to a lack of compassion on a very basic, human level. It is a failing which poses some very troubling questions for the NHS as we look forward. How can we get excited about ‘plastic Brits’ in Team GB? In just over two weeks’ time, amid much pomp and ceremony, the ‘Greatest Show On Earth’ will commence. Love it or hate it, you’ll find it hard to avoid the London Olympics – especially as there is a three-line whip for the national media to attempt to brainwash us into thinking we actually care about handball, weightlifting and synchronised swimming. It’s a once-in-a-lifetime experience. So say the volunteer zombies speaking the gospel according to the London Organising Committee of the Olympic Games (LOCOG). I should hope so, given the fact that the Games is costing £11 billion (About four times what they said it would back when London was successful in its bid). I certainly wouldn’t want British taxpayers having to stump up that sort of money every four years. We’d be doing a Greece/Spain/Italy (insert as appropriate) before you know it. Never mind. It’s not as if that £11 billion could have been spent on anything more important, is it? No, much better to spend £11 billion on a two and a half-week vanity exercise which will do nowt but regenerate a deprived bit of the capital and has created legions of non-jobs. Let’s forget, for a moment, the fact that the Olympics is a massive corporate monster. Let’s turn a blind eye to the over-zealous security measures which led to armed police surrounding a bag containing an electronic cigarette and bully-boys wrestling small children off their bicycles if they get too close to the Olympic Torch parade. Let’s set aside the bizarre ticketing arrangements and pretend that we buy into this idea that London 2012 is an event for the whole nation. Let’s kid ourselves into thinking that there will indeed be a huge surge in the numbers of children playing sport as a result of watching Greco-Roman wrestling and other things which can, at best, be described as niche. Let’s set aside the questionable selection process which has led to a world number one-ranked athlete being left out of Team GB because his face doesn’t fit while a former drug-cheat is given the green light. But I would suggest there’s still a problem with giving Team GB your whole-hearted support later this month. You see, quite a few of our athletes aren’t actually, er… British at all. In the same way that Kevin Pietersen (KP) and Jonathan Trott, of our all-conquering test cricket team aren’t technically English. Or, seeing as how we all love tennis for a nanosecond, the way Canadian Greg Rusedski was Britain’s number one not so long ago. Other sports, such as rugby union, are just as guilty, of course. Yes, Team GB has ‘borrowed’ quite a few of its athletes from other nations. This has led to the accusation that we are fielding ‘plastic Brits’ – one which I find hard to disagree with. It will certainly be interesting listening to the commentators trying to whip up a bit of patriotic ferver when our league of nations of adopted runners, jumpers, cyclists and wrestlers do their thing. We have, in no particular order: the not very British-sounding Olga Butkevych – a Ukrainian wrestler; 400-metre runners Michael Bingham and Shana Cox from the U.S. – along with hurdler Tiffany Porter; Yamile Aldama, representing us in the triple jump, is from Cuba; cyclist Philip Hindes is from Germany; and last, but by no means least, long jumper Shara Proctor is from the Caribbean island of Anguilla (which I had to look up). Meanwhile, the British handball team has almost 20 foreign-born players. Ten of Team GB’s basketball players were born overseas while nine of ‘our’ volleyball team were. Team GB chief Andy Hunt has emphatically denied there are any ‘plastic Brits’. Well he would, wouldn’t he? But how can we truly get behind the notion of Team GB when we know full well that many of its competitors are only here by dint of marriage or because they give our slim medal hopes a boost? You see, when KP or Trotty score a century for England I don’t quite feel the warm glow I get when Englishmen Alistair Cook or Ian Bell achieve the same feat. So I know exactly how I’ll feel if American Tiffany Porter – laughably named captain of our athletics team – makes it on to the podium. None of this is new, of course. Eighties throw-back yours truly well remembers the furore over bear-footed South African Zola Bud wearing the red, white and blue. Frankly, this sort of thing is a nonsense. It makes a mockery of international sport and renders the medals table meaningless. Personally, I’d rather see inferior athletes born and bred in this country competing at the highest level of whatever sport it may be rather than foreigners shipped in as a way of massaging our standing and justifying the largesse of our Olympics extravaganza. If Britain can’t produce top class athletes across the various sporting disciplines then I would suggest it is the bodies in charge of those sports in this country who need to take a long, hard look at themselves. The answer surely isn’t to turn Team GB into some sort of foreign legion flying flags of convenience in the hope that it brings in a few more golds, silvers and bronzes. Every parent remembers the moment only too well. Dark circles ringing their eyes, they blink in the daylight as they stagger out into the fresh air to a waiting car or taxi. The precious bundle swaddled in blankets and strapped safely in, they leave the grounds of the hospital and head for home, good wishes ringing in their ears. That’s when it hits you. You’ve got a baby and life will never, ever be the same again. This is because that little bundle relies on you completely during every waking moment and even when he or she is sleeping. Your life is simply no longer your own. For those who have never had children I may as well be speaking Vulcan. They just won’t understand a word of this. Being a mum or dad is the most rewarding job in the world – and also the toughest, most unrelenting role you will ever have. It boils down to total responsibility for shaping the life of another who is entirely dependant upon you. What’s more, children don’t come with a manual. There is no handbook which will calm you at 3am when little ’un is screaming blue murder for no apparent reason. No matter what anyone says, you can’t help but keep nipping into the box room to make sure he or she is still breathing when you can’t hear nowt on the baby monitor. Sleep-deprived, irritable zombies, we learn through our mistakes. We suss the nappy-changing, the milk requirements, the sleeping patterns, growth spurts and teething through bitter experience – spurred on by occasional magical moments. No-one sets out to be a bad parent but sometimes circumstances overtake the best intentions. Some people are better at coping than others because they are built that way. Some people have help from their partner, family or friends. But many parents don’t have access to a support network. Even some of those who do still struggle to cope with the punishing daily routine and the simple lack of time for themselves – time to recharge their batteries or just talk to other grown-ups. Worse still, some mums and dads are barely literate, anti-social morons who never give a thought to anyone else – let alone their own offspring. Most of us can figure out that sticking junior in front of the telly isn’t going to assist his or her development as much as stimulating play will. By the same token, we know that using sweets and crisps to buy 10 minutes of peace and quiet is actually a bad idea. But some dilemmas aren’t quite so straightforward. How long should you leave a baby to cry? What do you do if little ’un won’t take his or her bottle? How do you take a baby’s temperature? How should you discipline and unruly child? You could take the view that it’s remarkable that people need to be 16 to buy cigarettes, 18 to buy alcohol or fireworks and need to pass a test to drive a car but they are allowed to leave hospital carrying a tiny human being having had no training whatsoever. 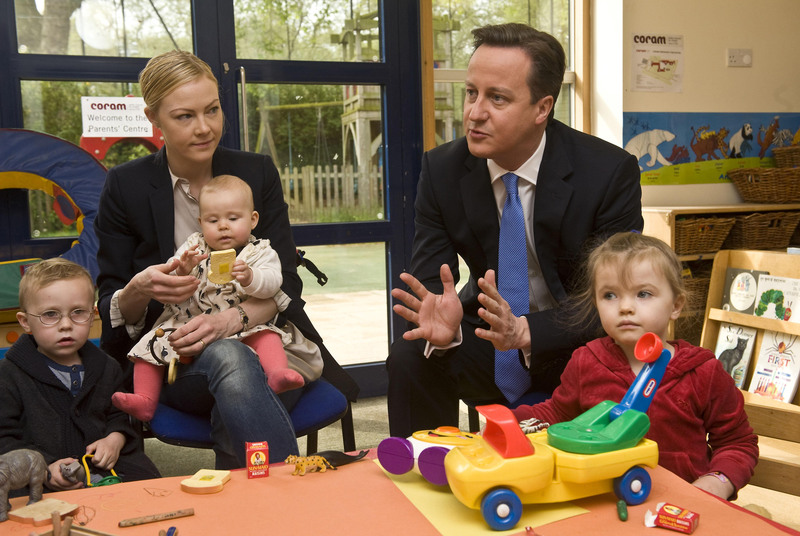 Personally, I’m all for anything which helps to better prepare new mums and dads for this most challenging period in their lives which is why I welcome the Government’s pilot scheme for free parenting classes. Slammed by some as interference by the ‘nanny state’, the initiative offers vouchers for £100-worth of parenting classes from high street chemist Boots and health professionals to parents of children aged up to five in three trial areas. There will also be a new targeted NHS email and text service aimed at those expecting a baby or in the first month of parenthood. It is designed to provide “regular, relevant and tailored” advice such as videos of baby bathing and other techniques, plus advice from other parents. If successful, these schemes may be extended across England and Wales and I sincerely hope they are. Some will undoubtedly criticise these moves and argue that what the country needs right now is more nurses, health visitors and social workers. That may be true, but it strikes me that there are thousands of parents-to-be who would genuinely benefit from some help, advice and myth-busting before the poo actually hits the nappy. I know I would have welcomed such an initiative and I’m pretty sure in this age of single-parents and non-nuclear families that those mums and dads without a traditional support network would too. Thirty years ago, new parents would have perhaps turned to their parents or grandparents for help and advice on everything from breast-feeding to preparing healthy, nutritious meals for toddlers that don’t come out of a jar. To an extent this still happens but I believe that the state can certainly play an important role in helping people become better, more responsible and caring mums and dads. No-one has all the answers when it comes to bringing up children and anyone who says they wouldn’t benefit from a bit of advice is kidding themselves and doing their children a huge disservice. Every child deserves the best possible start in life but many are hampered by both the environment in which they are raised and the capabilities of those looking after them. It is by no means a silver bullet but I think the parenting classes initiative is a step in the right direction – one which will help to prevent neglect, health problems, accidents and ultimately broken homes. Mention the Eighties and most people think of a ‘me, me, me’ society and a spend, spend, spend mentality. A time of big egos, big hair and big budgets. However, the truth is the decade of decadence showed no indication of its propensity for largesse when it staggered into being amid a severe recession. Indeed, looking back you can’t fail to notice that the first three or four years of the 1980s bear striking similarities to today’s austere economic climate. The UK actually entered recession ahead of the rest of the world in 1979. It coincided with the so-called ‘Winter of Discontent’ during which there were widespread strikes by trade unions demanding larger pay rises for their members as Jim Callaghan’s Labour government attempted to maintain a pay freeze to control inflation. Industrial action included an unofficial strike by gravediggers which left bodies unburied for weeks and strikes by refuse collectors which led to rubbish piling up on the streets. Elsewhere, NHS ancillary workers formed picket lines to blockade hospital entrances – forcing many to admit emergency patients only. These events prompted The Sun to publish its now infamous ‘Crisis? What crisis?’ headline – off the back off an ill-advised quip by Callaghan – and it was against this backdrop that Margaret Thatcher’s Conservative government swept to power in May 1979. The political change heralded a cataclysmic shift in policy. 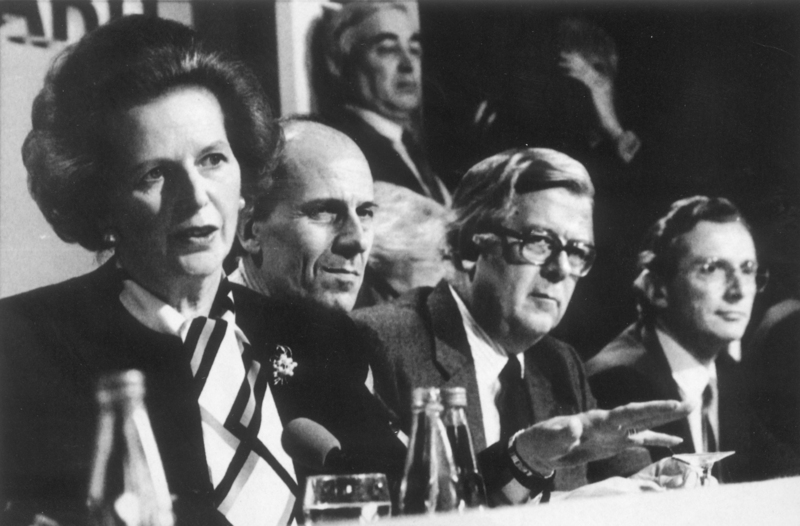 Maggie and her Chancellor Geoffrey Howe inherited an economy with inflation up at around 27 per cent. This led them to combat the recession in a thoroughly uncompromising fashion. They sparked outrage by raising taxes and cutting public spending – all of which will sound awfully familiar for anyone who has been listening to the Coalition government over the last 12 months or more. At the beginning of 1981 the recession held the UK firmly in its grip: Unemployment was approaching three million and manufacturing capacity fell by a fifth. At the same time genuine household incomes (what people have left, after taxes, to spend or save) fell – as they did in 2010. Thirty years ago the average house price was £24,188, petrol was 35p per litre, a packet of cigarettes cost 80p, a pint of beer 53p, a loaf of bread 39p and a pint of milk just 20p. Millions were forced to tighten their belts and the battle to bring down inflation raged on. Discontent was rife, and culminated in urban riots during the summer – with the main trouble flaring in the Brixton area of London, Handsworth in Birmingham, the Chapeltown area of Leeds and Toxteth in Liverpool. There was, of course, no internet or social media to fan the flames of civil unrest back then. The riots of 1981 were more about inner-city deprivation and rising racial tensions than the naked desire for the latest designer trainers or plasma screen TVs. In early 1983, Britain became a net importer of goods for the first time – mainly due to the loss of heavy industry and manufacturing. Areas such as the West Midlands, Tyneside, Yorkshire, Merseyside and South Wales were particularly badly hit and saw soaring unemployment rates. It wasn’t until the mid-Eighties that the recession eventually petered out but by then the damage was done and the landscape had changed. Britain’s trade unions had been neutered, its mining industry had been dismantled, hundreds of factories had been closed and gone was its proud reputation as the ‘workshop of the world’. If there is a lesson to be learned from the Eighties recession I reckon that it is probably that things will probably get a lot worse before they get better. Try to imagine the shock and despair a woman feels at being told she has cervical cancer. Think of the fear and the worry. Consider the physical toll and emotional strain on the patient, her partner and their loved ones. Then factor in, as a result of treatment, the loss of that woman’s ability to have a baby. It is a scenario awful enough to make you hug your own children that bit tighter as you tuck them in at night and thank your lucky stars that you are in the fortunate majority. Sadly, this situation is all too real for Rebecca Brown and her husband Elliot, of Meir. Faced with the heartbreaking prospect of never having a family of their own, the Browns turned to a close friend. She is a woman who already has children and is prepared to be a surrogate mother to end Rebecca and Elliot’s nightmare. However, the surrogacy, involving a form of IVF, comes at a price and it’s one that the National Health Service in Stoke-on-Trent is not prepared to pay. Rebecca and Elliot’s case is ‘not exceptional’, say the powers-that-be. Given the circumstances, I’m struggling to think what would qualify as ‘exceptional’. At this point I should say that I have a huge amount of sympathy and respect for the people who sit on NHS panels deciding which drugs and forms of treatment should be made available to the public. It is not a job I would like. They walk a tightrope that straddles the ethical, medical and financial. It seems to me to be a thankless task – and, to mix my clichés, a case of having to compare apples and pears and robbing Peter to pay Paul. The bottom line here is, of course, that there is a bottom line. The NHS budget is not a bottomless pit and the taxpayer simply cannot afford to fund every drug and type of treatment available. But I can’t help but think that Rebecca and Elliot deserve a chance. There will be those who say that the NHS saved Rebecca’s life and that she should be grateful for that. Others will argue that, dreadful as it is, not being able to have children is not a life or death issue and the £5,000 of public money for an IVF treatment cycle would be better spent on other things. However, for me, this is a quality of life issue. It is about the Browns, having come through hell and considered all the options, deciding to try for a baby that will be biologically theirs – as close to a normal, natural pregnancy as they will ever come. A midwife speaking at a ‘parent-craft’ class once told me that being able to carry a child and give birth is the single most natural thing a woman can do. She described it as a ‘keenly-felt need’. Now just think of all those women who fall pregnant by accident or who churn out baby after baby without a care in the world and turn out to be utterly hopeless mothers – without a stable family background or income to support their offspring. Think of the money the State throws at them in terms of support, help and benefits. Yet here we have a solid, married, working couple (because this affects Elliot too) who have been through the mill in recent years only to be told that the NHS can’t help them achieve what so many people take for granted. The Browns have sought to ensure the surrogacy is conducted properly and are dealing with someone they trust implicitly, but still find themselves stymied by bureaucracy and financial constraints. Irrespective of their financial situation, I don’t believe Rebecca and Elliot should have to pay for a treatment which others receive a free cycle of and which has been available on the NHS in the Potteries since October 1988. Some may feel that such a decision would set a dangerous precedent – opening the floodgates to all sorts of claims for fertility treatment. This is why the prioritisation of funding is key to the ethos of the NHS and why I welcome the new Government’s plan to shift the responsibility for decision-making away from the bean-counters and back to the medical fraternity. For me this case is simple: It is about the wish, or perhaps need, of a loving couple, a man and a woman, to do that most natural of things – start a family. How then could anyone, in all good conscience, deny them such a fundamental right?